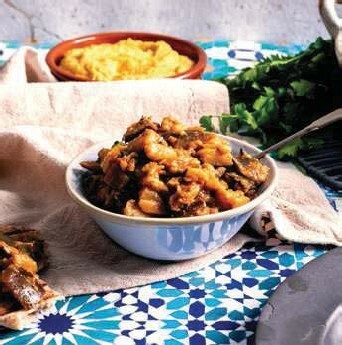 Bordering the Atlantic and Mediterranean sea, Morocco is famed for its delicious, aromatic food. Though also part of Africa, the country has harnessed its own unique reputation, and invites tourists from across the world to marvel at its ancient architecture, beautiful mountainous regions and, of course, the striking Sahara Desert. 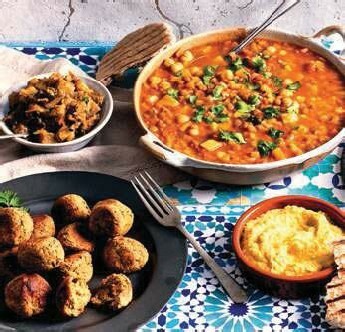 The country’s traditional food encompasses subtle spices and intriguing flavour combinations, with inspiration drawn from the cuisines of its nearby Spanish and Algerian neighbours. 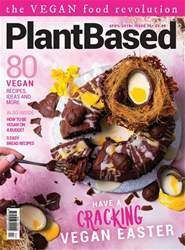 From traditional tagines to rich, filling hariras and even vegan b’stillas (a filo pastry pie combining sweet and savoury notes, usually including almond, saffron, cinnamon and coriander), there’s plenty of new and exciting recipes to try. And don’t forget Morocco’s signature side dish: couscous. Often mixed with a variety of different vegetables, herbs and spices, couscous can easily be transformed from a simple side to a magnificent main meal. When making your own Moroccan dishes, having a pot of ras el hanout to hand is essential. 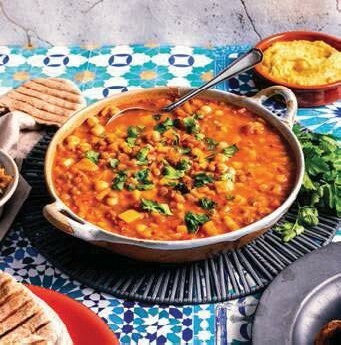 The blend combines sweet and pungent spices, and is perfect for flavouring everything from tagines to b’ssaras (a broad bean soup).